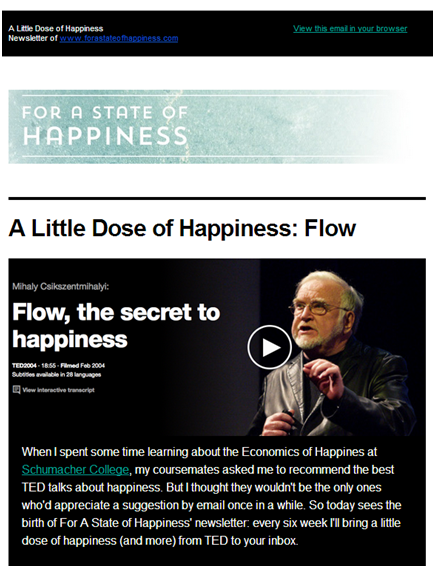 “A Little Dose of Happiness” is the newsletter of For A State of Happiness. Every two months or so, I bring the highlights of the blog and the progress behind the scenes straight to your mailbox. So sign up here! * Few promises from my side: you won’t get emails more often than every six to eight weeks, and can unsubscribe anytime. And of course: no spam! That would be a waste of time for both of us.